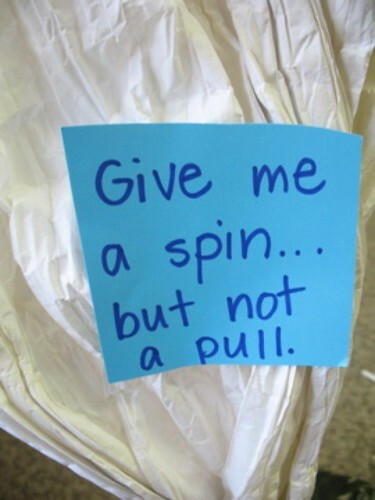 using some thrifted rope-like-crinkly paper (i’m sure there is a name for it), we unrolled and unrolled to make a classroom-size tornado. it took a couple of tries to make it strong enough for little ones to handle, but we got it. hot glue and a couple of old rulers to wrap the top around made it work. 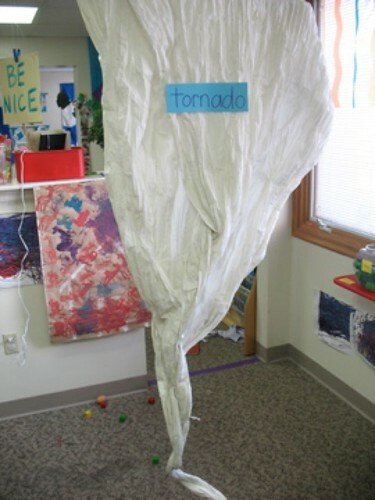 with this tornado hanging in our block corner, there were many farms, zoos, cities and spaceships that had to escape the powerful wind.